That video is very well done, but your photos are truer to reality. Thank you, Hien; I appreciate your comments and observations. 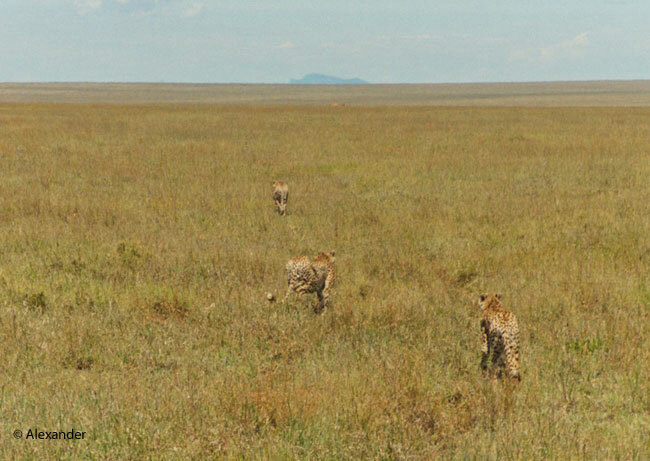 I like the photos better too, but those cheetahs are sooooo fast that capturing that bit of sprinting cheetah magic requires the professionals of National Geographic. And for this reason one shall never step out of the safari vehicle! As always Jet I come away with new knowledge for a future win at a trivia game. 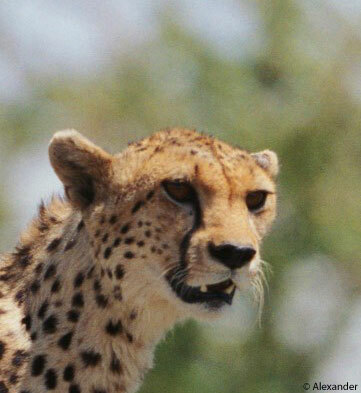 I had no idea about the super power eyesight of the Cheetah let alone the frightening velocity at which they can run. Yes firmly planted in my seat behind the guide. Yes, they are a formidable creature. I didn’t include the bloody photos…. I’m happy (and smiling) that you enjoyed the Serengeti visit today, Sue. Always a joy to hear from you, my friend. I did enjoy it in a never get in the way of a cheetah kind of way. Very best wishes to both you and Athena. Truly magnificent creatures Jet and wonderful photos. I was being amazed by my sisters lurchers running recently but they only reach 45 mph. 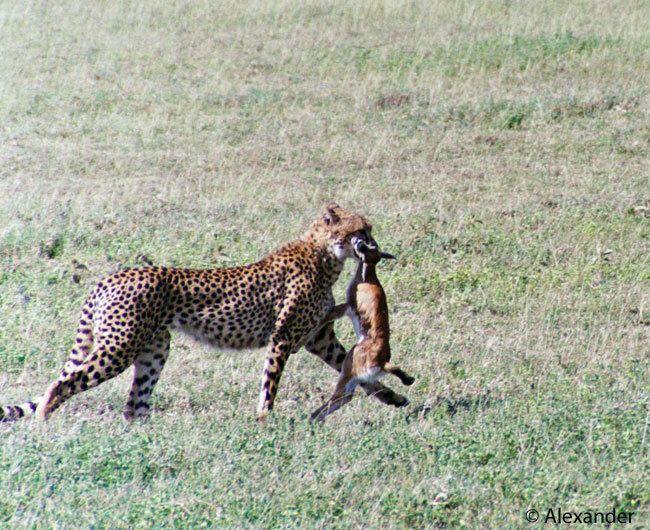 I cannot imaging what it is like to watch a cheetah going full speed. The video is great and very good at showing how the cheetah moves but doesn’t show the speed of it. I so enjoyed this walk through St. James Park, Alastair. Love that first photo with the wavering blue fence reflection, and enjoyed all the scenery here, and the soundscape too. Waterfowl you asked for identification, what you labelled #11, is called the red-breasted goose. A beauty. Lol I wondered what was going on 😊 They all came through so thanks for your determination. This technology occasionally has a confusing glitch but no fear, I received your comments. Thanks again, I’m very pleased you enjoyed it. Great photos as always! I would love to see a Cheetah in pursuit in person. That would be awesome! Yes, montucky, I am certain this is something you would love seeing. We saved up two years for that trip. No time like the present to start this dream. Always a pleasure to “see” you, thank you. Glad you enjoyed the photos, thank you. A true joy to share the scenes of the Serengeti with you, Val. Thank you. 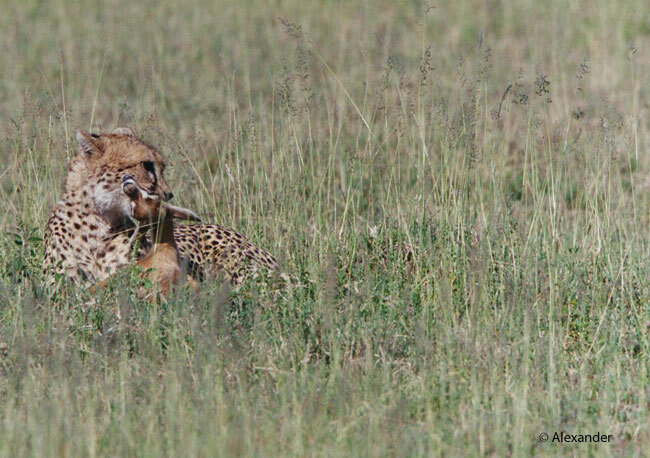 It’s really fun to witness a cheetah doing anything in the wild, even languishing. Wonderful comment, Joanne, thank you. Thank you so very much, rabirius. There were a couple of cheetahs up at Safari West the last time we visited. You could get up with close to them. Gorgeous creatures. Yes, they are gorgeous creatures. I love the “tear stain” markings they have. Many thanks, Jan.
Of course it’s true, we don’t want our cheetahs to starve, but the cheetah/gazelle kill is awfully brutal to witness. Always a joy, dear Nan…thank you. Great write up and photos of this tremendously powerful animal. I sure wouldn’t want her chasing me but I know what you mean about the gazelle! A beautiful animal to observe, but from a very safe place…to be sure. Great to hear from you, as always, Bill. Thank you. Such beautiful cats. I wish they were vegetarians. Beautiful cats, I agree, Anneli, and powerful, awesome animals. Glad you enjoyed the post, thank you. Of all the cats, I’ve always thought cheetahs were special. The slow motion video of the cheetah running was mesmerizing. Sad to think of them struggling with loss of habitat or other problems with only 10% young surviving. I’ll try not to think of the gazelle ’cause them cheetah babies need to eat, too! Yes, you’re right, Gunta, the balance of the big picture is what is called for. And I agree, the video is mesmerizing. I’ve been out on the Serengeti when large photography and videography crews were there, it is quite a scene. Mostly the BBC. In the film it looks like it’s just the animal being photographed and so solitary. But oh my goodness, there are so many people, usually a fairly large crew filling one or two vans, and so much equipment, tens of thousands of dollars worth…and all the crew members are scrambling to get the action; and often they are waiting, waiting, waiting for that opportunity when the animal decides to strike. The end product is impressive, but watching them work on the project is interesting too. Thought you would find it interesting too. My warmest thanks, Gunta. Of course seeing it in real life would be an entirely different matter, but did you watch clear to the end of the video where they do show crew and equipment at work. It’s a bit mind boggling. Thanks to you and Athena for bringing this great stuff to our attention! Happy December, too! Quite mesmerizing to see it run in slow motion. Thanks for this post Jet! Yes, slow motion is a good way to see how the animal actually moves. I am happy you stopped by Bertie, thanks so much for your visit today. Lovely cats. 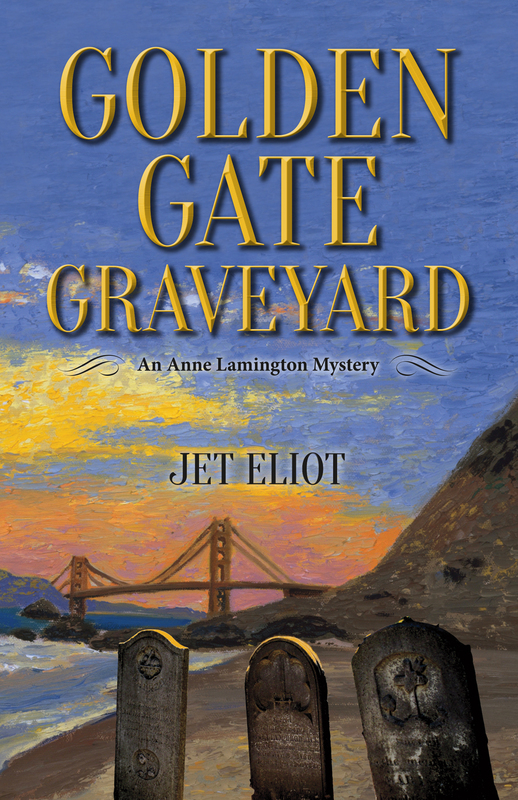 Great post and photos Jet and Alexander. 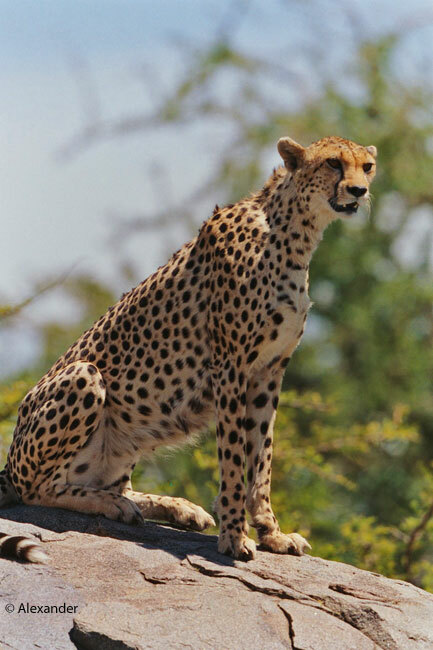 I am glad you enjoyed the cheetahs, Sherry — thanks so much for your visit and kind words. Amazing & beautiful animal, thank you for the info and link, Jet! fantastic post! The video clip was the best film I have ever seen of a cheetah running. I have never seen one in the wild, but Pippas Challenge was my favourite book as a child and I have always admired their awesom beauty. It is difficult to record a cheetah in motion, because they are so fast, and I agree with you Cathy, this was a great film capture. Thank you so much for your visit. The big cats are beautiful, amazing creatures. These remarkable photos and your own account, from first-hand experience, bring to mind the wonder of a predator-prey relationship, perfect from the stand-point of our natural world. Thanks so much for sharing this! You bring up an excellent point, Walt. We have limited experiences anymore on this earth to see the natural predator-prey relationships of big cats. The Serengeti is booming with it. Tanzania is my favorite place in the world to visit for this reason, as well as the utter beauty and expansiveness. Really appreciated your wonderful words today, thank you. Even at rest, it has a furious face! A beautiful animal!! 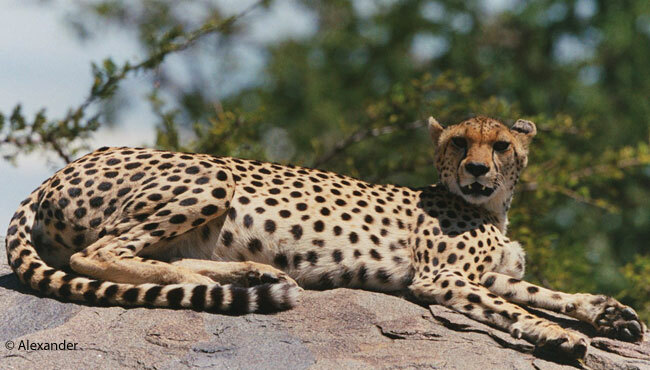 Yes, the cheetahs are formidable and beautiful both. Thanks so much, Joanne. Yes, it is a beautiful thing to watch the Serengeti denizens and how they have learned to survive. My warmest thanks, Kir. Love hearing about your “inner Attenborough,” RH. Gave me a fun chuckle. Sir David is one of my heroes, so it’s a joy to see his honored presence come up in connection to the Cheetah post. Many thanks, RH. I love the Cheetah…one of my favourites. many moon ago when I was known as a wild life painter in the States, I made many large paintings of these beautiful creatures. However, I have never seen one in its natural habitat….maybe one day. Thank you, Jet for another superb post. Janet. Lovely to receive your visits, Janet, thank you. I have never seen your paintings from that era, I can imagine your cheetah art is fantastic. And what a joy to share the cheetahs here from their natural habitat. Their robustness and magnificence come alive in the wild so wonderfully. Thanks so much for your visits, Janet. Your blog always awakens something in me….primarily the joy and beauty that Mother Nature offers us. Thank you, Jet. Beautiful animals! Hope they have enough place to live and plenty of food, and are protected from poachers. 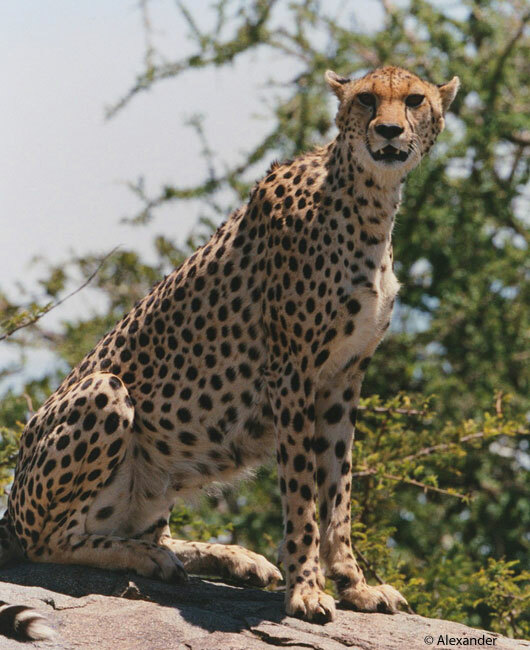 You name many of the difficulties in keeping the cheetah population thriving, Inese, but fortunately there have been numerous organizations and countless individuals who have been successful so far. Thank you, my friend.